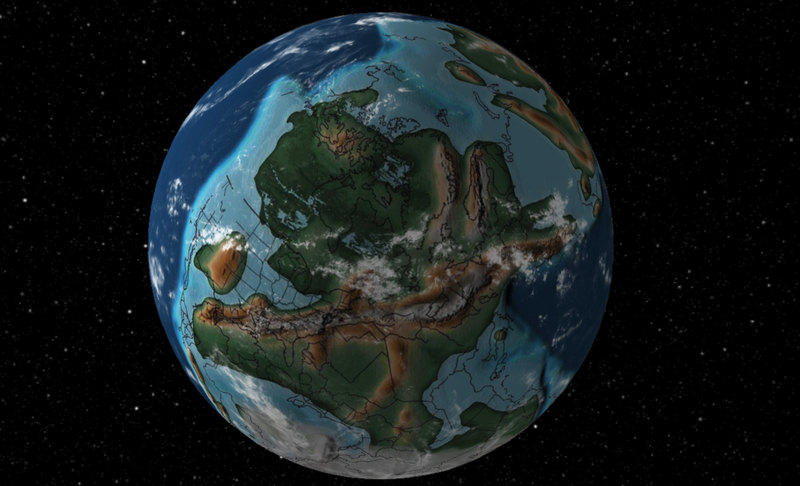 The Ancient Earth Globe is an interactive 3D globe that depics the Earth at various points in geological history from 750m years ago until now. Here it is 300m years ago. Late Carboniferous. Plants developed root systems that allowed them to grow larger and move inland. Environments evolved below tree canopies. Atmospheric oxygen increased as plants spread on land. Early reptiles have evolved, and giant insects diversify. And here it is 0 million years ago, right before the Post-anthropocene Extinction Event. Amazing! Look how green it all was.